The Eagle 2000 Series is a Premier Line of Heavy Duty Commercial Sliding Automatic Gate Operators. The Eagle 2000 Auto Gate Opener combine smooth and quiet operation with the power of durability necessary for all commercial Gates application. This operators are manufacture in the USA, with dedication to safety, precision performance, and dependability, This Model can handle up to 45feet and 1,000 lbs.gates. The Eagle- 1000 Gate Opener series Door Gate Operating Device is the premiere line of Residential Sliding Gate Operators for Eagle Access Controls. 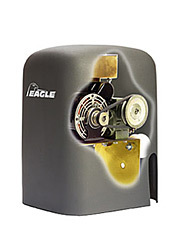 The Slide Eagle-1000 Gate Opener combines smooth and quiet operation with the power and durability necessary for residential applications. All of the models within this series are manufactured in the United States with dedication to safety and precision. 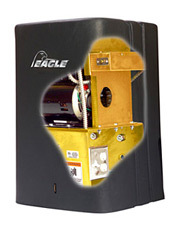 The Eagle-I combines smooth and quiet operation with the power and durability necessary for residential applications. The Eagle-I Residential sliding gate operator uses the latest in technology to provide you with the safest and most efficient operator for your money. 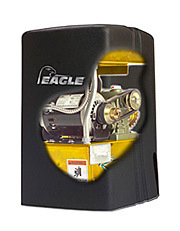 The Eagle 2000 Series is a Premier Line of Heavy Duty Commercial Electric Sliding Gate Operators. The Eagle 2000 combine smooth and quiet operation with the power of durability necessary for all Commercial Electric Gate Operator application. This operators are manufacture in the USA, with dedication to safety, precision performance, and dependability, This Model can handle up to 45feet and 1,000 lbs.gates. The Eagle 2000 Series is a Premier Line of Heavy Duty Commercial Electronic Sliding Gate Operators. The Eagle 2000 combine smooth and quiet operation with the power of durability necessary for all Commercial application. This Electronic Gate Operators are manufacture in the USA, with dedication to safety, precision performance, and dependability, This Model can handle up to 45feet and 1,000 lbs.gates.